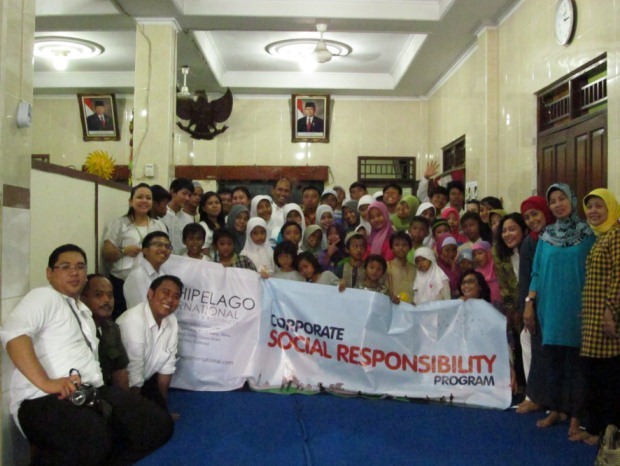 Jakarta, July 6th, 2012 – As part of our Corporate Social Responsibility (CSR) program with its emphasis of giving back to the community, Archipelago International recently visited several orphanages in Bali and Jakarta. In Bali, Archipelago International visited the Elisama orphanage which currently cares for around 45 children, from toddlers to Senior High School teenagers. In Jakarta, Archipelago International visited Kampung Melayu orphanage which currently nurtures around 60 children of various ages. During the visit, we held several games and had lunch together to gain more emotional connection. On this occasion, Archipelago International delivered daily requirements for the children as well as much needed educational equipments. 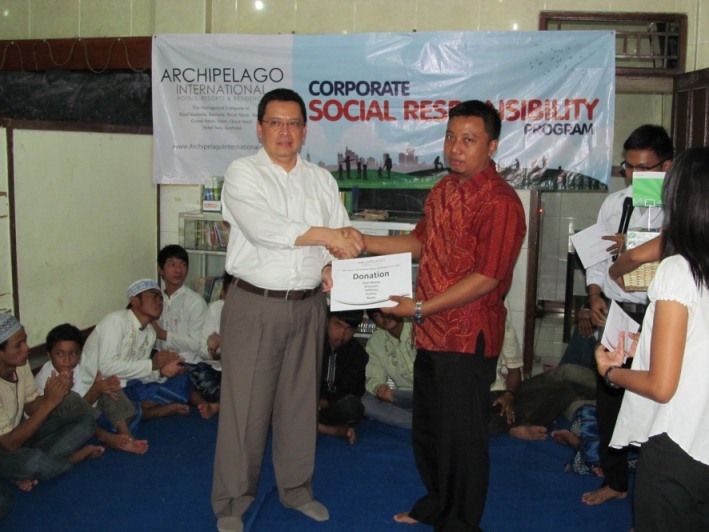 Snapshot of Orphanages Visit, seen in the image Mr Lukas K. Samali – Archipelago International’s VP Human Resources symbolically giving donation to Mr. Ujang - Kampung Melayu Orphanage Caretaker’s Representative. Snapshot of Orphanages Visit, seen in the image Archipelago International’s employee taking picture with children at Kampung Melayu orphanage - Jakarta. 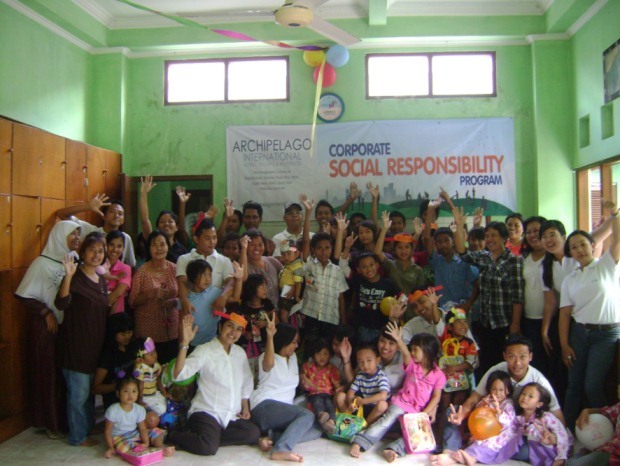 Snapshot of Orphanages Visit, seen in the image Archipelago International’s employee taking picture with children at Elisama orphanage – Bali. Archipelago International entered Southeast Asia over a decade ago and has since become a prominent international player in the Indonesian hotel market, with offices in Bali, Jakarta and Surabaya. Archipelago properties currently operate in Indonesia, Malaysia and the Philippines under the five-star Grand Aston and Crimson, deluxe villa Royal Kamuela and Kamuela, four-star Aston, three star Aston City, Quest and Neo , boutique budget class Neo hotels and select service favehotel labels.